No doubt, the individual is speaking the truth because an iPhone 6s’ 1,715mAh battery is going to be no match for the 3,000mAh capacity present in Galaxy S7. However, if Eric Schmidt decided to swap his phone with in an iPhone 6s Plus, which to refresh your memory, sports a 2,750mAh battery, it is highly possible that his impression takes a different turn, but it looks like the executive does not possess an affinity for large screen smartphones. One could wonder why Eric Schmidt carries around two different smartphones with him, especially when one of them belongs to Google’s biggest rival in the smartphone operating system race, Apple. However, you will notice that Alphabet’s top executives, including Sundar Pichai also carry around a multitude of smartphones since they want to see what kind of progress their competitors are making and how Google’s Android OS can become better in the future. 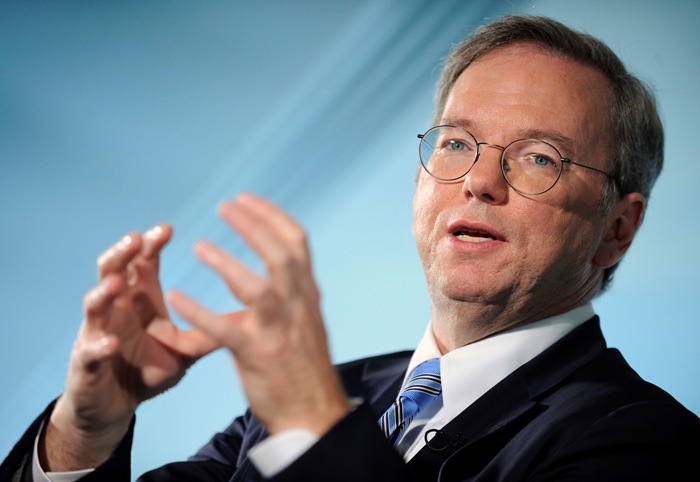 While Eric Schmidt has admitted that he uses an iPhone, he could most definitely be carrying it around to see how Android can provide the same level of optimization as Apple’s iOS platform. Apple designs its own chipsets and processors that play well with iOS, and despite featuring less number of processing cores, these processors are able to make short work of chips running inside Android powered smartphones. Remember, knowing how to beat your enemy requires you to know their strengths and weaknesses.